Here is a side by side comparison of the small block transmission cross member (lower) and a big block version (upper). 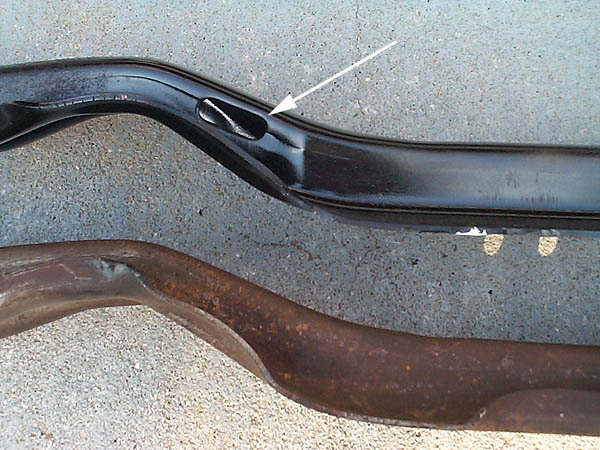 The upper one is from a 70 GS455 coupe and has part number 9796240 stamped on the area indicated by the white arrow. Convertible versions are shorter because they have a boxed frame while the coupe versions use a C-channel frame. The arrow indicates where the emergency brake cable passes through the Buick big block cross member. The opening measures 1/2" wide and 1.5" long. I believe this hole could be made in a small block cross member by drilling two 1/2" holes then connect them with a plasma cutter or using a milling machine. Here is an Olds Cutlass x-mbr below. Notice the bolt holes on the end and the slot for TH400 applications. 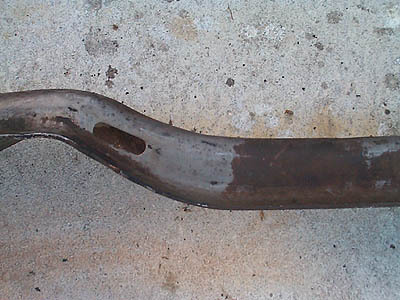 This was removed from a 70 Cutlass 4dr with 350/TH350 set-up. You can use the Oldsmobile cross members as an alternative if you can not find a Buick version. For convertibles, all GM A-body wagons have boxed frames which use the same cross member as convertibles. 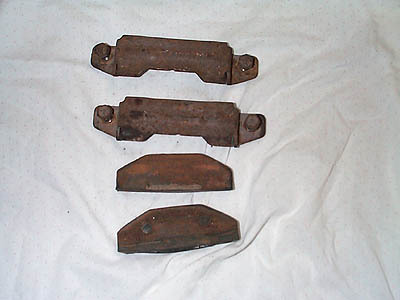 Chevrolet versions will not be correct since those are made from cylindrical steel(tubes) instead of flat bar stock before being stamped into the form as pictured above. Also, all 69-72 Pontiac Grand Prix models have boxed frames and have TH400 transmissions as standard equipment. These cars will have the same cross members as convertibles.